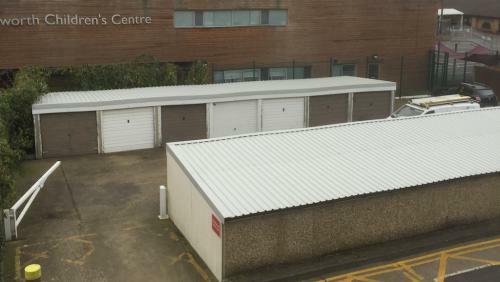 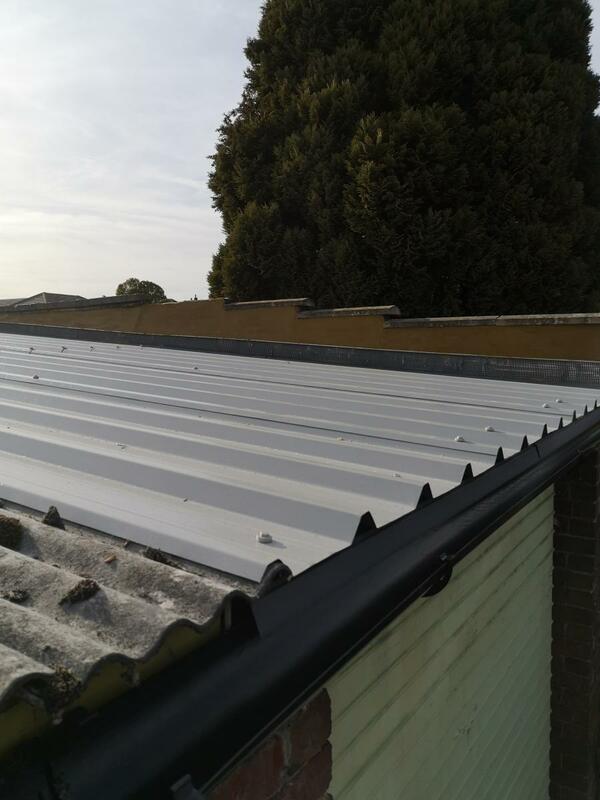 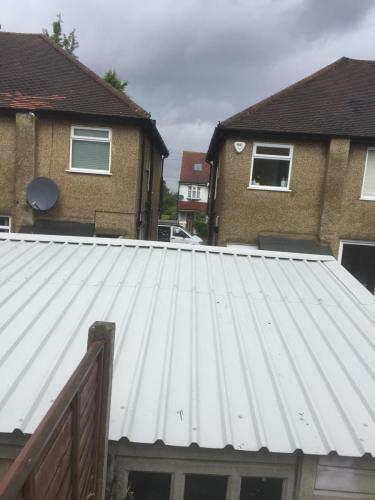 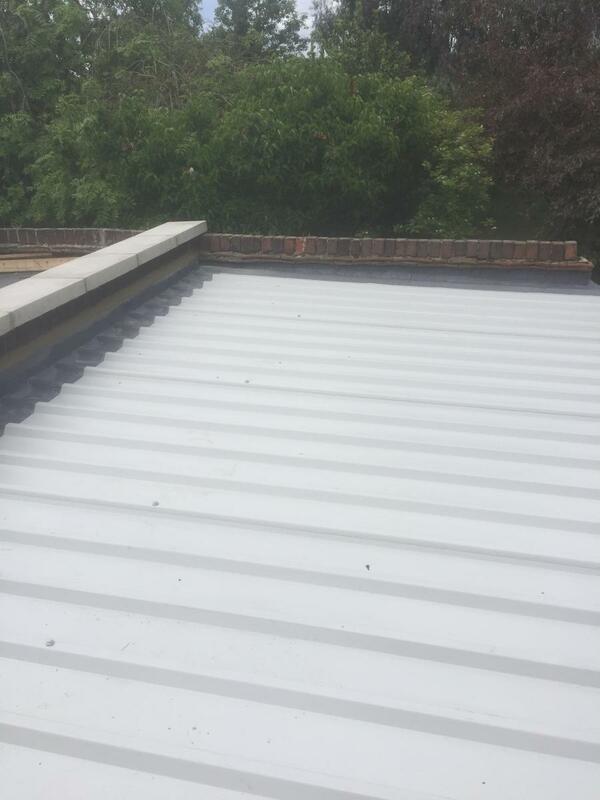 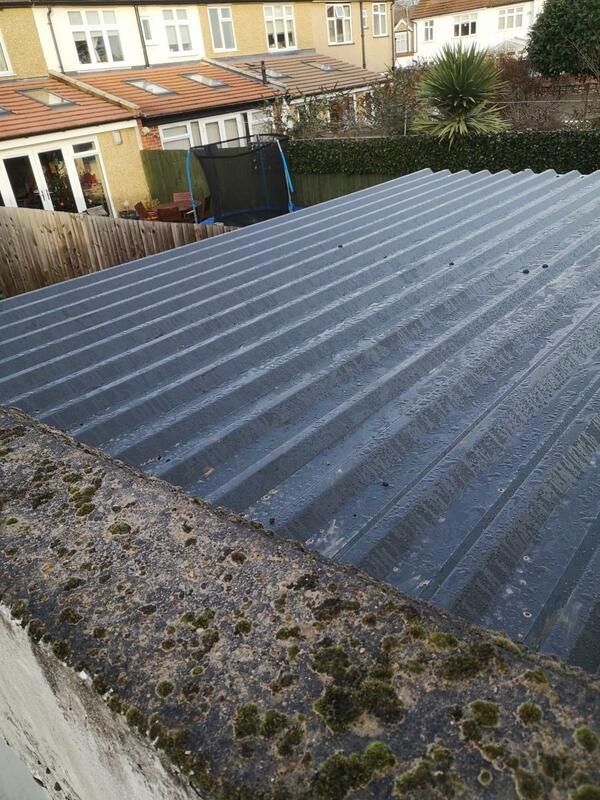 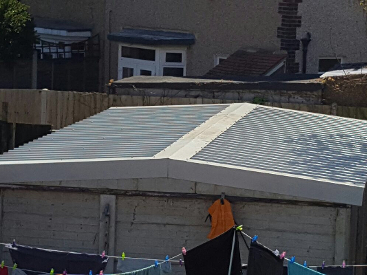 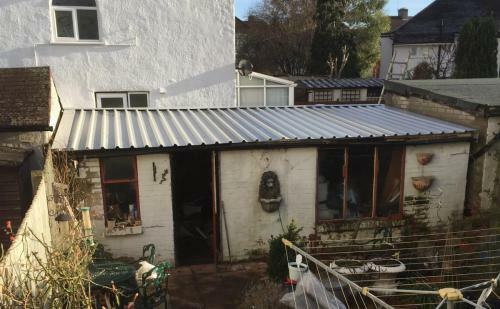 Transform your garage with a new colour coated galvanised steel roof. 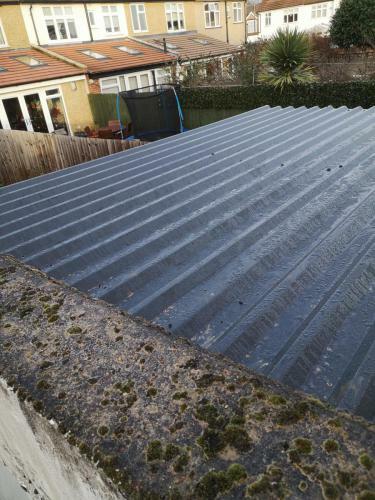 We can remove and dispose of your asbestos cement roof and fit a new one in one working day. 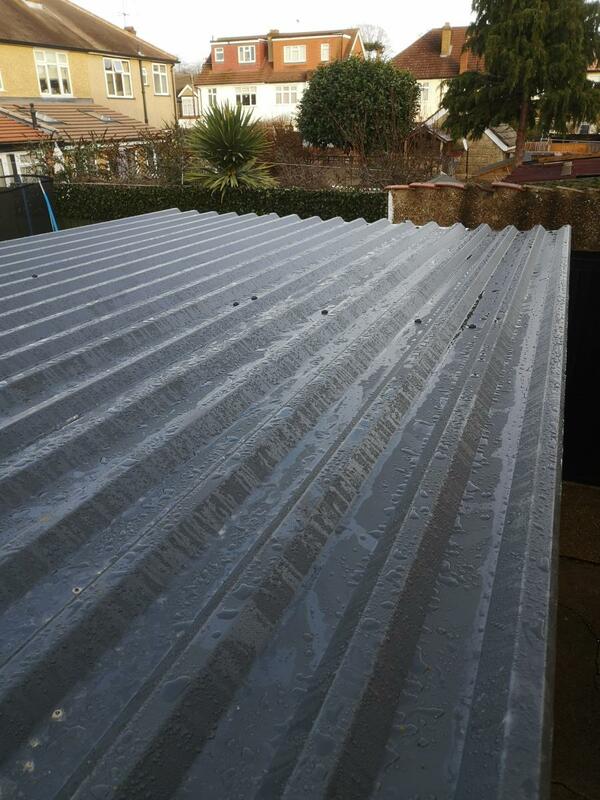 A single garage costs from as little as £ 1950.00 and a double from £ 2700.00 all in.